I&apos;ve been known to enjoy a frosty malted beverage from time to time, especially when Hendricks County and the rest of Central Indiana closely resembles the surface of the sun. So when the owner of Saddle Solutions wanted to meet with me to discuss a business proposition over lunch, Three Pints Brewpub in Plainfield, Indiana, jumped to mind. I had never been there. It&apos;s a local establishment, and they brew their own frosty malted beverages. Perfect. 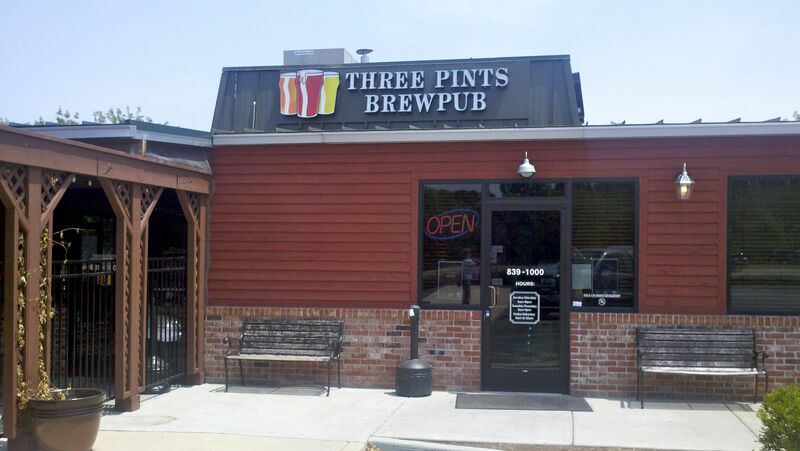 Three Pints Brewpub is located at 5020 Cambridge Way in Plainfield, just north of where Ind. 267 and I-70 meet. It&apos;s right next to Thornton&apos;s gas station, near numerous hotels and is very easy to access. They have an outdoor patio for those who like to sit outside when the weather is a little cooler, but we chose to take refuge indoors behind the nicely tinted windows and under the air conditioning. Our attentive, friendly and helpful waitress told me that Three Pints Brewpub opened in November 2010 and began brewing its own beer on-site in March of the following year. 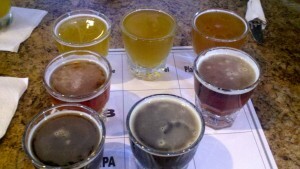 Interested in trying all of their house brews, I ordered their beer sampler - 4 oz. of each beer they have on tap for $1 a piece. Heck of a deal. When we were there, they had - in order from lightest to darkest - seven beers on tap: Beatnik Blond, Belgian Triple, Plainfield Pale, ESB, Retired Red&apos;s, Black IPA, and Oatmeal Stout. I generally prefer light beers but decided to start with the darkest and work my way toward the light. The Oatmeal Stout was a good beer for being dark. Even from the perspective of a light beer drinker, it wasn&apos;t too heavy, it was refreshing, and it didn&apos;t have the tangy bite at the end that I dislike about many dark beers. The Retired Red&apos;s was another favorite of mine, more flavorful and full-bodied than the typical light beer but not as heavy as the typical dark beer. My favorite of all, by far, was the Beatnik Blond. It probably won&apos;t surprise anyone to learn that it&apos;s the lightest beer on the color palette, but I genuinely enjoyed its clean, crisp taste. By the time I made my way to it in the beer sampler, it was closer to room temperature than it was to cold, but it was still excellent. I ordered an ice cold draught after I finished the sampler, and wow. Just wow. That is one fine beer. The pulled pork sandwich I ordered was delicious, and the portion size was just right for me. Prices are reasonable, and Three Pints Brewpub posts its entire menu online, so you can see exactly what they offer and at what price. I love that. We found the establishment to be a great place to conduct business. 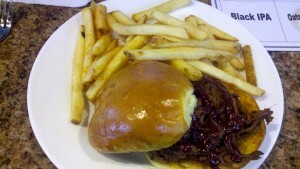 It&apos;s clean (including the restrooms), comfortable and provides a relaxed atmosphere. There was music playing - but not loud enough to distract from conversations - and multiple televisions throughout the pub allowed me to keep half an eye on all the sports news while we talked. We didn&apos;t need it for our meeting, but the pub also offers free wi-fi service. 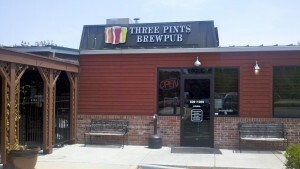 Three Pints Brewpub also sounds like a great place to have fun. Every Thursday and Saturday night, they have live music. Every Wednesday night is Bike Night for all Harley-Davidson enthusiasts. Regular customers should check into the Pints Plus Club for special savings and opportunities. Now that I&apos;ve closed my business deal, I definitely want to return for some fun. 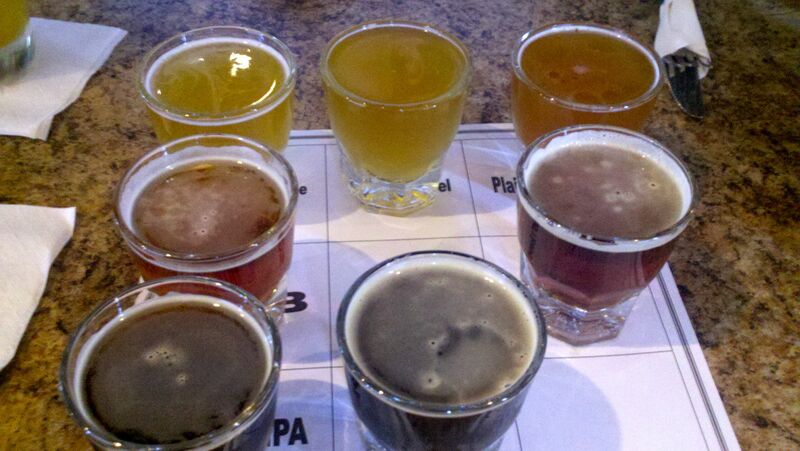 I&apos;ll be ordering up another Beatnik Blond, and I think I hear the Pints Plus Club calling my name.